... is an expression for things getting better and better. One sho-bottle is 1.8 liters, for example. 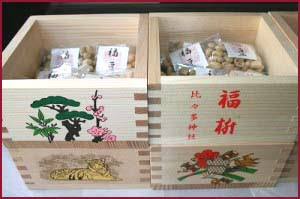 The boxes can be made to order with an inscription for an auspicious occasion, like a wedding or company event. 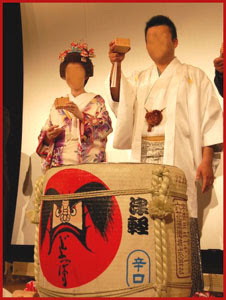 Cheers to a wedding, with sake from boxes and a Daruma barrel! 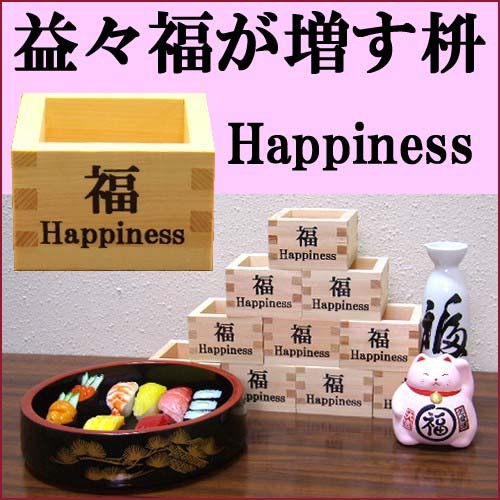 was originally a square wooden box used to measure rice in Japan during the feudal period. 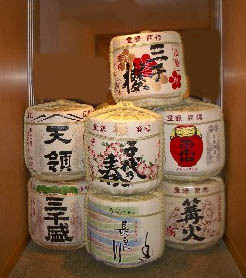 Masu existed in many sizes, typically covering the range from one to (一斗枡 ittomasu, c. 1.8L) to five gō (五合枡 gogōmasu, c. 0.9L). One masu was supposedly enough rice to feed a person for one day. 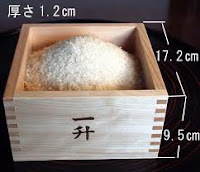 Today masu are largely used for drinking sake, as the advent of modern rice cookers and a higher calorie diet in Japan has made them impractical for measuring portions of rice, and the standard size is one gō, or 0.18039L. 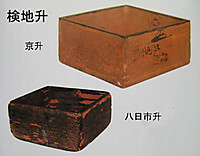 A small (2.5 in x 2.5 in x 2.25 in h), lidded form of masu, made of hinoki, is sold for serving pepper, salt, sugar, and other dry condiments at the table. or a wooden handle from one corner to the opposite corner. 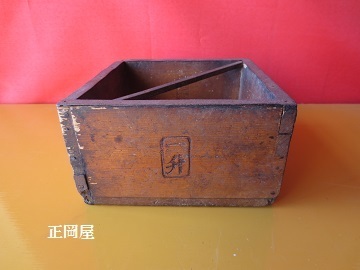 and used for measuring Sake, oil, salt etc. 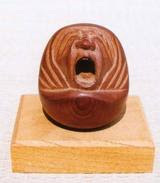 They were made mainly from the wood of hinoki 檜 cypress, sugi 杉 cedar wood was also used. 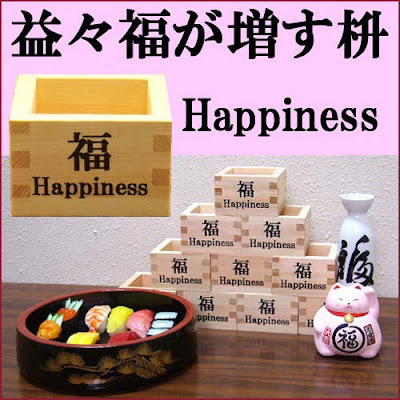 In the Heian period, every 荘園 lord of a manor had his own Masu made. Kyoomasu 京枡 Kyoto-Masu （十合枡）to be used in all of Japan. All the other domains used their own Masu and to unify the whole lot, the Bakufu decided in 1667 to use the Kyomasu in all of Japan. 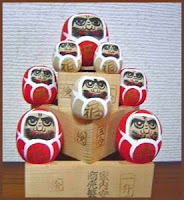 Special offices, called 枡座 Masu-Za, where set up in Edo and Kyoto to supervise the size and punish any offenders. 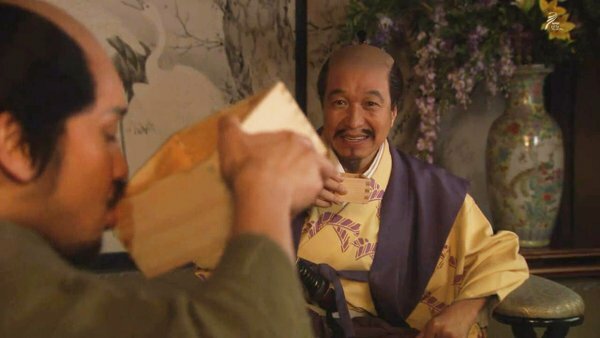 and in Edo 樽屋藤左衛門 / 樽屋与左衛門 Taruya Yozaemon . 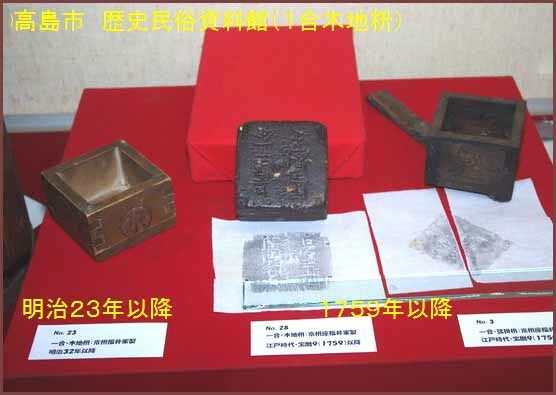 They had to make the official Masu, burn a seal into the wood and bring them to the market for sale. All other Masu were forbidden. 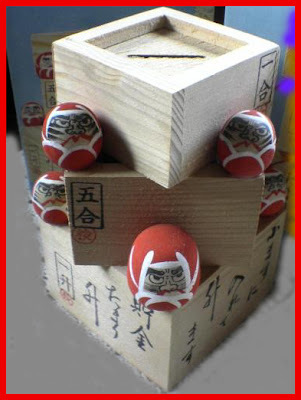 Since the Kyo-Masu was slightly larger than the Edo-Masu, the government was able to increase its income by just that much!
. Masu at Temple Okubo-Ji, Shikoku . about moon viewing . . .
. Sumiyoshi Jinja 住吉神社 .
. 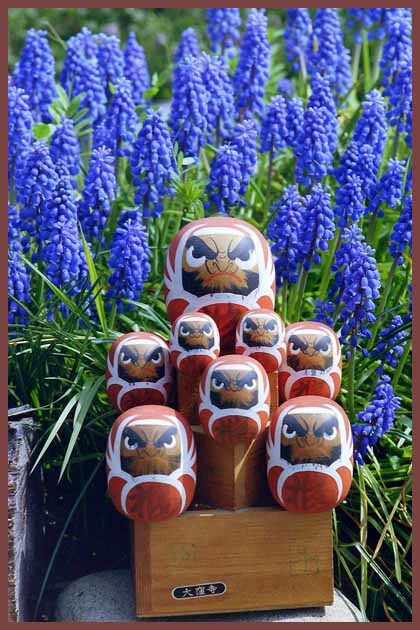 Sake, Ricewine and Daruma .
. Sakadaru with Mount Fujisan 富士山. This is a kind of sweet, strong and delicious rice wine. It was a favorite drink of Saint Nichiren and is now still offered to him.